I am apt to suspect the Negroes, and in general all other species of men to be naturally inferior to the whites. There never was any civilized nation of any other complection than white, nor even any individual eminent in action or speculation. Scholars have been aware for a long time of the curious paradox of Enlightenment thought, that the supposedly universal aspiration to liberty, equality and fraternity in fact only operated within a very circumscribed universe. Equality was only ever conceived as equality among people presumed in advance to be equal, and if some person or group fell by definition outside of the circle of equality, then it was no failure to live up to this political ideal to treat them as unequal. is why we have chosen to stick with categories inherited from the 18th century, the century of the so-called Enlightenment, which witnessed the development of the slave trade into the very foundation of the global economy, and at the same time saw racial classifications congeal into pseudo-biological kinds, piggy-backing on the divisions folk science had always made across the natural world of plants and animals. Why, that is, have we chosen to go with Hume and Kant, rather than with the pre-racial conception of humanity espoused by Kraus, or the anti-racial picture that Herder offered in opposition to his contemporaries? Empiricism encouraged the tabulation of perceivable differences between peoples and from this it deduced their natural differences. Rationalism proposed initial innate distinctions (especially mental ones) to explain the perceived behavioural disparities. In fact the relationship between race and the Enlightenment is far more complex than such discussions allow for. Enlightenment thinkers certainly often held deeply prejudiced views of non-Europeans; it would be astonishing if they had not. But they were largely hostile to the idea of racial categorisation. It was in the nineteenth, not eighteenth, century that a racial view of the world took hold in Europe, and it did solargely because of the ‘counter-Enlightenment’ views that Smith lauds. 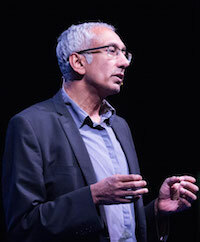 I explored these themes in my 2009 Voltaire Lecture called ‘The Guilt of Science? Race, Science and Darwinism’. That lecture looked at the historical relationship between modernity, science and race, including the fraught question of how Enlightenment thinkers understood the concept of race. I am publishing here an extract from that talk that challenges the common academic view of the ‘Enlightenment’s race problem’. 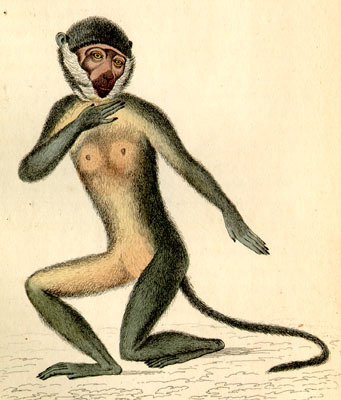 I will publish a second post later this week that looks at how eighteenth century discussion of human variety mutated into the nineteenth century obsession with racial difference. For a fuller discussion, see my book Strange Fruit: Why both sides are wrong in the race debate. 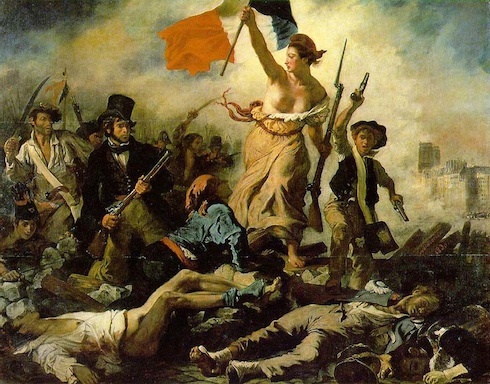 Between the sixteenth and eighteenth centuries Europe underwent a series of intellectual and social transformations that laid the basis of the modern world. It was the period in which the modern idea of the self, and of the individual as a rational agent, began to develop; in which the authority of custom and tradition weakened, while the role of reason in explaining the natural and social world was vastly expanded; in which nature became regarded not as chaotic but as lawful, and hence amenable to reason; and in which humans became part of the natural order, and knowledge became secularised. The culmination of this process came in the Enlightenment. Traditionally, European scholars had looked to the past as the source of knowledge. From the Christian point of view, the Fall had corrupted the public stock of knowledge. The role of scholars was not to discover new facts about the world, but to restore an uncorrupted view through a correct interpretation of the Bible, and of the works of the Ancients, particularly Aristotle. The ‘new philosophy’ reversed this relationship between observation and authority. From now on, as Francis Bacon put it, ‘Books must follow science, not science follow books.’ By applying reason to observation, the new philosophers argued, it was possible to establish the laws by which the world was governed. Through this process, the magical, vitalistic cosmos of old gave way to an inert universe composed of purposeless particles each pursuing its course mindless of others. Humans were now seen as part of the natural order. So the question arose: how did humans fit into that order? Natural philosophers had begun classifying all of nature. How should humans be classified as part of this project? It was through the work of the Swedish botanist Carolus Linnaeus that the first steps were taken in attempting to answer this question. Linnaeus’ great study, the Systema Naturae, described and classified animals and plants for the first time in a distinctly modern fashion. He never fully shook off the influence of the Chain of Being. But he replaced the linear view of nature embodied in the scala naturae with a nested hierarchy of species, genera, families, orders, classes, phyla and kingdoms, a system we still use today. 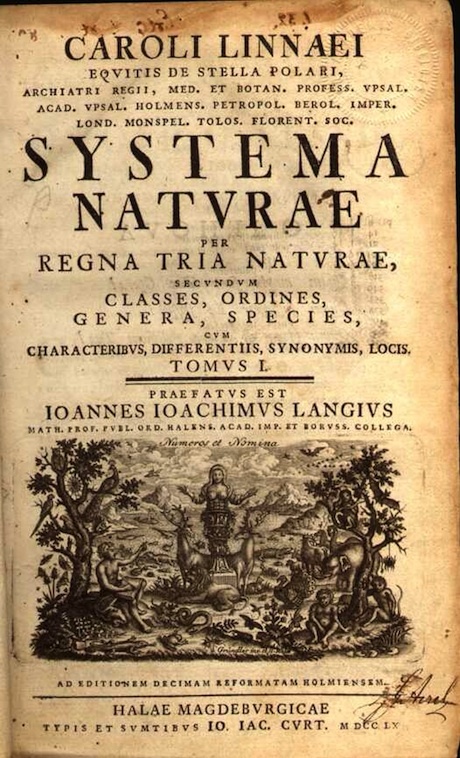 Through the various editions the Systema Naturae, Linnaeus developed a complex classification system for humans. He created the genus Homo which he subdivided into two sub-genera. In one, Homo nocturnes, he placed those apes that appeared to be anthropomorphic. The second, Homo diurnus (or ‘daylight Man’), was reserved for creatures that appeared to be more human. Homo diurnus was, in turn, divided into three species. Homo sapiens were humans proper. The other two species – Homo monstrosus and Homo ferus – were ‘monsters’ of various sorts: monstrous peoples such as Patagonian giants and Alpine dwarves, and monstrous individuals such as the wolf-boy of Hesse and the wild girl of Champagne. 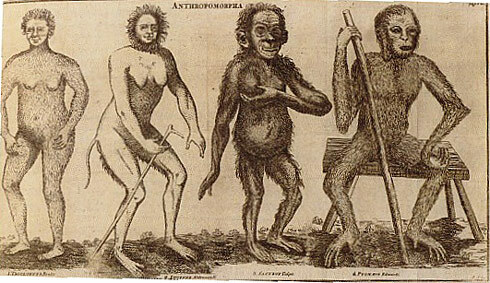 Finally, Linnaeus subdivided Homo sapiens into four ‘varieties’: americanus, europaeus, asiaticus and afer. The Systema Naturae is one of the landmarks of scientific thought, out of which modern biological taxonomy grew. But it is still peopled by monstrous creatures that staked out the ambiguous frontier between fable and fact. In the first edition of Systema Naturae, for instance, Linnaeus catalogues a bizarre creature called ‘paradoxon’, a ‘tailed satyr, hairy, bearded, with a human body, gesticulating much, very lascivious’. It is in this sense a work that bridges the medieval and the modern consciousness. 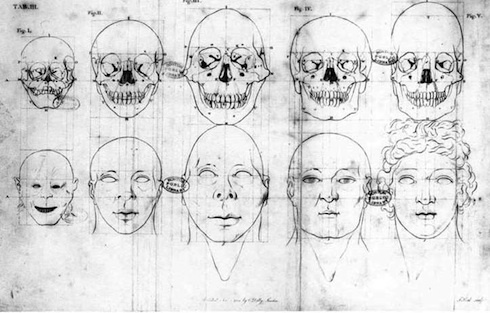 Blumenbach refined Linnaeus’ classification of humans by rejecting all idea of human monsters. And to remove Linaneus’ cultural baggage, he insisted that skull shape and size should be used as the primary means of differentiating between human groups. He eventually reordered Linnaeus’ four human categories to form five varieties, naming them Caucasians, the peoples of the Europe, west Asia and north Africa; Mongolians, the peoples of East Asia; Ethiopians of sub-Saharan Africa; Americans, the native peoples of New World; and Malays, the peoples of Oceania. Over the next two centuries, anthropologists put forward various racial taxonomies in which the number of races varied from three to several dozen. Blumenbach’s five-fold taxonomy, however, and his terminology – in particular the expression ‘Caucasian’ – became firmly established in both popular and scientific thinking about race – and remain so to this day. To see why this is not the case, we need to look more closely at how Enlightenment thinkers viewed the concept of human differences. There were, in fact, two Enlightenments, as Israel points out in his wonderful two-part history of the period, Radical Enlightenment and Enlightenment Contested. The mainstream Enlightenment of Kant, Locke, Voltaire and Hume is the one of which we know and which provides the public face of the Enlightenment. But it was the Radical Enlightenment, shaped by lesser-known figures such as d’Holbach, Diderot, Condorcet and Spinoza that provided the Enlightenment’s heart and soul. The starting point for the philosophes, radical and mainstream, was the belief in a common human nature. ‘It is universally acknowledged’, David Hume wrote, ‘that there is a great uniformity among the acts of men, in all nations and ages, and that human nature remains the same in its principles and operations.’ But if human nature was so uniform, why did humans differ so markedly across the globe? This was a critical question for eighteenth century thinkers. The answer, for most philosophes, was ‘climate’, by which they meant not simply the weather (though they considered this an important aspect) but more generally a people’s environment, including their history. In his Histoire Naturelle, the French naturalist Buffon described the lives of many human groups and tried to demonstrate the material basis for the differences. ‘Every circumstance’, he wrote, ‘concurs in proving, that mankind are not composed of species essentially different from each other’. On the contrary, ‘there was originally but one species, who, after multiplying and spreading over the whole surface of the earth, have undergone various changes by the influence of climate, food, mode of living, epidemic diseases, and the mixture of dissimilar individuals’. Today, of course, talk about ‘savages’ sounds deeply racist. For eighteenth century philosophes, however, to speak of a society as ‘savage’ was less a moral condemnation than an empirical description. Savagery was a state through which all societies passed. 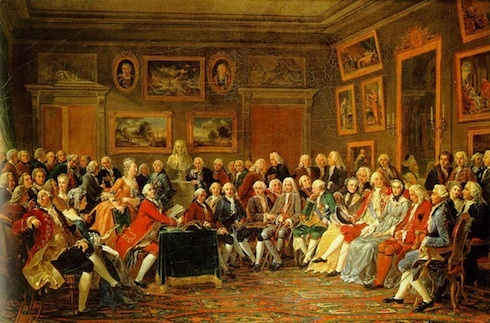 What motivated most Enlightenment thinkers, especially the radicals, was not the belief that non-Europeans were innately or irrevocably backward but a desire to understand the material causes of the human variety, including cultural, social and political variety. The question that mesmerised them was why, if all humans possessed a common nature, they appeared so different, not just physically but socially, culturally and intellectually too? The answer was rarely that human groups were racially distinct, but rather than environmental differences and accidents of history had shaped their societies in different ways. The Enlightenment was marked, then, both by a passion for classification, and for bringing order to the seeming chaos of the world, and by a belief in the universality of human nature and in the power of progress. These two key aspects of Enlightenment thought seemed to pull in different directions in the debate about the nature of human differences. On the one hand was the urge to create a racial taxonomy of humankind, evident in the work of Linnaeus and Blumenbach, on the other the insistence on the plasticity of human varieties and the possibility of a common civilisation. For much of the eighteenth century, though, most thinkers did not perceive a contradiction. In large part this was because of the way Enlightenment thinkers understood the meaning of classification. In the Linnaean system, the concept of species was defined by four attributes, all rooted in a pre-modern Aristotelian view of the world. First, species consisted of similar individuals sharing in the same essence; each individual embodied the essence of the species. Taxonomy was the science of arranging beings with respect to the essence. Second, each species was separated from all others by a sharp discontinuity; there were no gradations between species and no doubt as to which species any individual belonged. Third, each species remained constant through time. Every organism was created by God, and remained unchanged since Creation. And finally, Linnaean taxonomy imposed severe limitations in the possible variation of any species. Since each species was defined by its essence, it could not wander too far from its predetermined form. In the nineteenth century these four attributes came to define the concept of a ‘racial type’ – a race as a fixed and immutable group. In the eighteenth century, though, many objected to the very idea of a system of classification rooted in Aristotelian philosophy. In his influential Essay Concerning Human Understanding, John Locke argued that it was not possible to have knowledge of ‘real essences’. All we can know are the qualities or appearances that present themselves to our senses – what Locke called the ‘nominal essence’ of an object. From these we use our powers of abstraction to create categories. Such categories, Locke wrote, ‘are made by the mind and not by nature’. Nominal essences, in other words, are not in things, as real essences, but are characteristics chosen by us, on the basis of social needs and systems of meanings, to help us define objects we wish to classify. Classification was simply a means of arranging nature for human convenience. 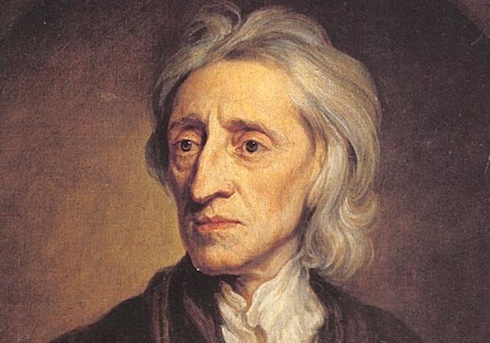 Locke’s argument could be read in different ways in debates about human differences. The idea that there is no common human essence could, in principle, provide support for the claim that certain groups are not fully human. This is one of the reasons that contemporary postmodern rejection of any and all ‘essentialism’ has potentially dangerous consequences. Although there seems to be so great a distance between widely separate nations, that you might easily take the inhabitants of the Cape of Good Hope, the Greenlanders and the Circassians for so many different species of man, yet when the matter is thoroughly considered, you see that all do so run into one another, that one variety of mankind does so sensibly pass into another, that you cannot mark out the limits between them. Blumenbach added that ‘There is no single character so peculiar and so universal among the Ethiopians, but what it may be observed on the one hand everywhere in other varieties of men’. Nineteenth century thinkers, especially in the second half of the century, took for granted that humans could be divided into a number of essentially distinct groups. Eighteenth century thinkers, on the other hand, took as their starting point the belief in a universal human nature. Difference was something to be explained, not, as nineteenth racial scientists came to believe, something that explained everything else. The Enlightenment belief in the plasticity of human varieties was rooted partly in an attitude: a fervent belief in progress as the mark of humanity. For most Enlightenment philosophes, the radicals in particular, progress was akin to a law of nature and no people were deprived of the possibilities of self-improvement. There scarcely was a civilised nation of that complexion, nor even an individual, eminent in either thought or speculation. No ingenious manufactures amongst them, no arts, no sciences. On the other hand, the most rude and barbarous of the whites, such as the ancient Germans, the present Tartars, have still something eminent about them, in their valour, form of government, or some other particular. Such a uniform and constant difference could not happen, in so many countries and ages, if nature had not made an initial distinction between these breeds of men. What we see here are the first intimations of a contradiction that was to become a key motor of nineteenth century social and political thinking – a contradiction between the intellectual categories thrown up Enlightenment philosophy and the social relations of the emerging capitalist society, between an abstract belief in equality, on the one hand, and the concrete reality of an unequal society. It was out of this contradiction, as we shall see, that the idea of race emerges. It is true that in the eighteenth century, a number of thinkers within the mainstream of the Enlightenment, Hume, Voltaire and Thomas Jefferson among them, dabbled with ideas of innate differences between human groups, including ideas of polygenism – the belief that different races had different origins and were akin to distinct species. Yet, with one or two exceptions, they did so only diffidently or in passing. Hume’s comment about the innate inferiority of blacks appeared in a footnote. Thomas Jefferson conceded that ‘the opinion that [negroes] are inferior in the faculties of reason and imagination must be hazarded with great diffidence’ particularly so ‘when our conclusion would degrade a whole race of men from the rank in the scale of beings which their Creator may perhaps have given them.’ Twenty years later, he wrote to a French correspondent that he had expressed his opinions about the inferiority of negroes ‘with great hesitation’. He added that ‘whatever their degree of talents, it is no measure of their rights’. In some ways, then, the roots of the racial ideas that would flourish in the nineteenth century lay in Enlightenment writing, or rather in the equivocations of the mainstream. Yet, eighteenth century thinkers remained highly resistant to the idea of race. This was partly because the empirical case for a racial view of human differences did not seem sufficiently compelling. More importantly, political attitudes towards progress and human unity left little room for race. It was the transformation of Enlightenment attitudes through the course of the nineteenth century that helped mutate the eighteenth century discussion of human variety into the nineteenth century obsession with racial difference. Enlightenment thinkers who felt satisfied that races were essentially different simply never took their enlightenment far enough, in my view, but stopped where it was convenient, flattering or popular to stop. Some Socratic humility was in order, not vain illusions of Aristotelian rigor. I am reminded of this whenever I read Freud (my reading has been minimal), who advances tentative possibilities with layers of qualification and pleas that further work follow. Until I read more of him, I’ll wonder if it’s always been his followers who elevated him to an eminence of sweeping and essential certainties, inviting overthrow to the point of repudiating his entire output. 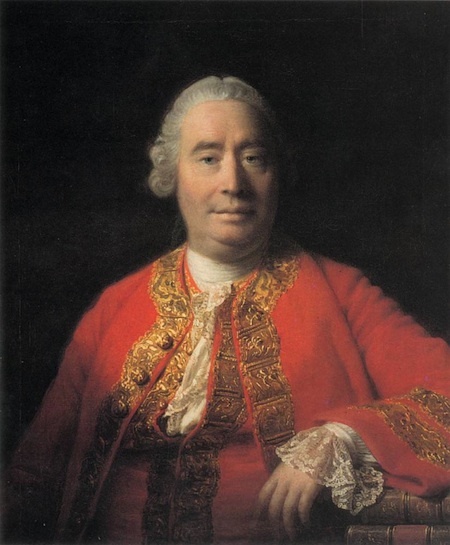 I’ve always been puzzled by Hume polygenism, which seems to run counter to what seems to be the kernel of his entire philosophy, the regularity and universality of human nature. Its varied manifestations being grounded on climate, conventions and historical accident. But I also remember now an observation of him to the effect that we humans often reconcile in our minds the most contradictory beliefs. Indeed he as Robert says, he never took the Enlightenment far enough. Hannah Arendt does a fantastic job of presenting European attitude toward race in the 18th and 19th centuries in her book “The Origins of Totalitarianism.” Her assessment of racism as a product of European imperialism and the tribal-nationalism that led to the Pan-Slavism and Pan-German movements is quite compelling. So much so that trying to consider the origins of European racism solely in terms of its relationship with/to The Enlightenment seems misguided. Instead of front and center, for Arendt, The Enlightenment is somewhat ancillary to what happened. It’s there in her book, and discussed a bit. But the driving factors came from elsewhere. I encourage one and all interested in the matter of the origins of European racism to read her work.